PixWords Scenes Level 381 – 390 Answers for all levels solutions to fill the missing letters in crossword box ! use the picture scene to match the word that can connect and match the answer ! if you stuck and can’t solve what word from the picture, then feel free to get all the pixwords scenes answers below ! 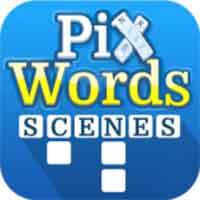 PixWords Scenes is a new amazing game from the PixWords family. Find all words from a crossword in a picture / scene.